Comedian/actor Dave Chappelle performs at Radio City Music Hall on June 19, 2014 in New York City. 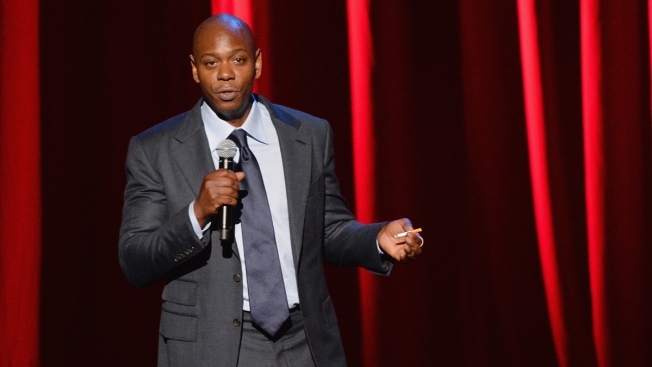 Chappelle will debut his first comedy specials in 12 years on Netflix on March 21. Comedian Dave Chappelle is headed back to TV with his first concert specials in a dozen years — two of them. Both premiere March 21, exclusively on Netflix. The hour-long specials are from his personal vault. "Dave Chappelle: The Age of Spin" was filmed at The Palladium in Los Angeles in March 2016. "Dave Chappelle: Deep in the Heart of Texas" was filmed at the Moody Theater in Austin in April 2015. He's currently on the road in preparation for a third Netflix special. Chappelle's comedy career includes movie roles in "The Nutty Professor," ''Con Air" and "Blue Streak." In 2003, he achieved heightened fame and critical acclaim as the mastermind of his Comedy Central sketch series, "Chappelle's Show," only to abruptly exit the series in its third season.